Looking for a place to celebrate Mother’s Day this year? 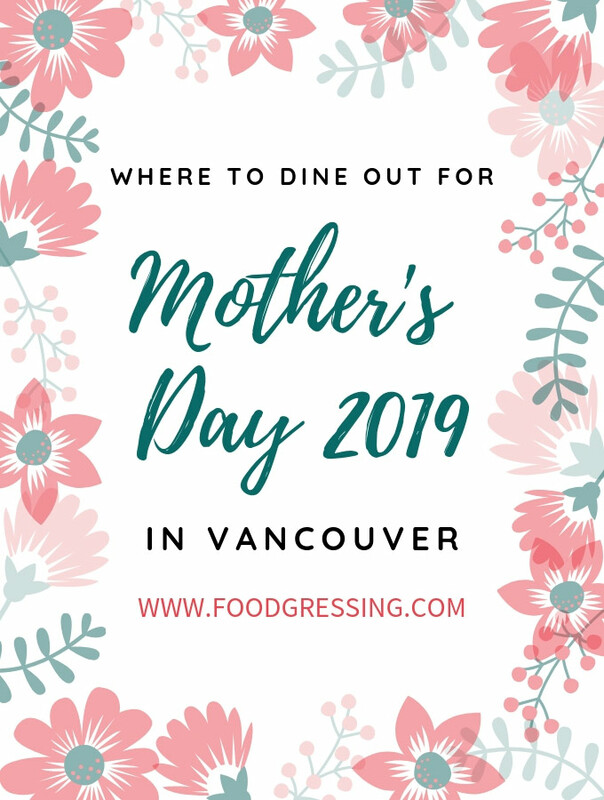 Here is a list of restaurants in Metro Vancouver that are offering special Mother’s Day menus or features for 2019. On a personal note, I am really happy to say that my lists have become very popular in helping others seek dining out options for special holidays. Unfortunately, there have been incidences where other publications and blogs based in Vancouver have ripped off my table in near identical format and wording and republished it on their sites without my permission or credit. These lists are a labour of love and it is incredibly disappointing when I find out about it (especially when you are in the same media circle!) Please feel free to contact me if you see my table being plagiarised and posted elsewhere. All contents of this post are copyright secured by Digiprove with verifiable time-stamped evidence of the content.